Ayurleaf herbals provide innovative and best resultoriented Herbal supplements as Herbal Supplement, in collaborations with Biobaxy Technologies India, as an Manufacturer and exporter world wide. 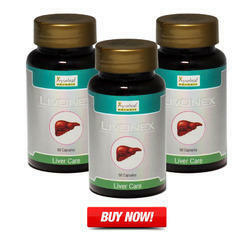 This is a natural remedy that contains 7 herbs that promote the secretion of bile and keep the liver healthy. 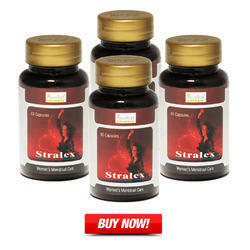 It contains 7 exclusive herbs that Natural Weight Loss Supplement promote weight loss by burning away the fat. It has Medohar Guggulu 250 mg, Vidang (Embelia Ribes) 50 mg, Vijayasar (Pterocarpus Marsupium Stick) 50 mg, Punarnava (Borhavia Diffusa) 50 mg, Rudrajata ( Aristolochia Galanga) 25 mg, Pippalimul (root of piper longum) 25 mg. When the patient complains ofHyperlipidemia, Ischemic Conditions like IHD & other vascular diseases, Peripheral vascular disease or Suspected atherosclerosis this remedy is useful. As an agent of cardiovascular health it has multiple mechanisms to make the heart beat better. 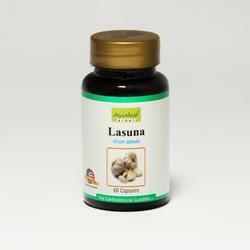 It lowers the plasma lipid levels, and is a good anti coagulant with anti-oxidant properties. It is also believed to aid impaired endothelial functions. 2 Capsules once a day after meals. 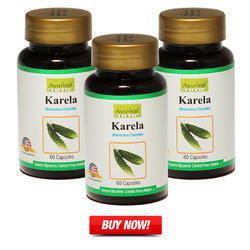 Description: Karela is used in the treatment of diabetes I & II. It reduces the blood glucose level. It is believed that regular consumption of this bitter gourd will regulate the insulin level and ensures both blood and urine is normal. It purifies the bodily functions. Most physicians will recommend this remedy as a daily routine in the diet. Benefits: Even chronic diabetic patients have benefitted from regular consumption of this capsule. 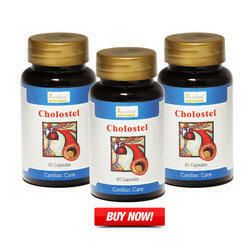 Although it is not a substitute for regular medication it is ideal for reducing the glucose levels in blood and urine. 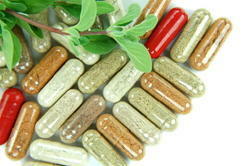 We are manufacturer and supplier of Herbal Green Food Supplement.